Marcaim is constituency No. 23 of Goa legislative assembly. It is situated in North Goa district and comes under South Goa Lok Sabha constituency. It is an open constituency. The state of Goa has 40 assembly constituencies. According to data with the Election Commission of India, Marcaim assembly constituency has 25,149 registered voters. It comprises 12,623 male and 12,526 female registered voters. In the last Goa assembly elections held in 2012, the Maharashtra Gomantak Party won this constituency by a convincing margin of 7,230 votes. Ramkrishna alias Sudin Dhavalikar, the winning candidate from Maharashtra Gomantak Party, got 14,952 votes. Marcaim has become a stronghold of the Maharashtra Gomantak Party over the years. 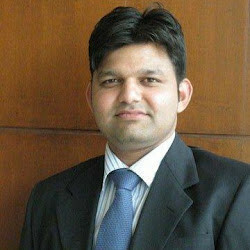 The runner-up was debutant Ritesh Naik of Congress who got 7,722 votes. The voter turnout was 90.46 %. Below is the list of winners and runners-up in the Marcaim assembly elections conducted so far.